Funny how things turn out isn’t it? 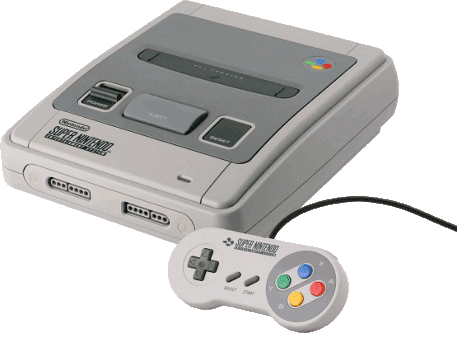 Take Sensible Soccer on the Super Nintendo for example,(SNES for those not in the know or have forgotten).Unlike the version we ported to the Sega Mega-drive, Nintendo’s 16bit wonder involved a bit more work than the relatively easy port to the Sega hardware. For a start the original Amiga code was written in 68000 assembler which also happens to be the same processor used in the Mega-drive.Converting a game is just a tad easier when both your original code and the target code can effectively run on the same processor. So what’s all that got to do with the price of fish? 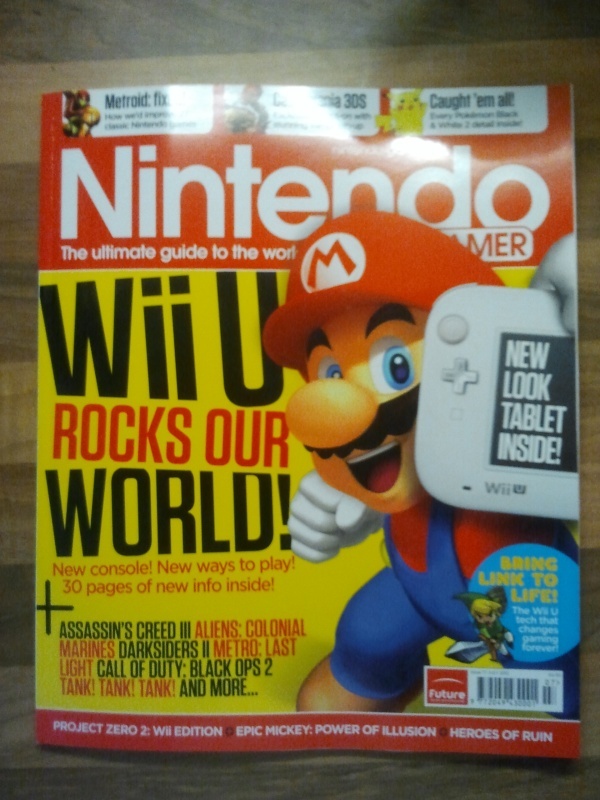 Well nothing but it does remind us that converting a game isn’t a just a case of converting the graphics, changing a few lines of code and hey presto you have a new target platform with which to publish your game on. No, it’s far more involved than that, even today with multi platform game engines like Unity or Corona which makes the whole process far easier there are still rules to follow but these falter in my opinion when compared to the technical work required doing it old skool!. So anyway as I was saying it’s funny how things turn out isn’t it? 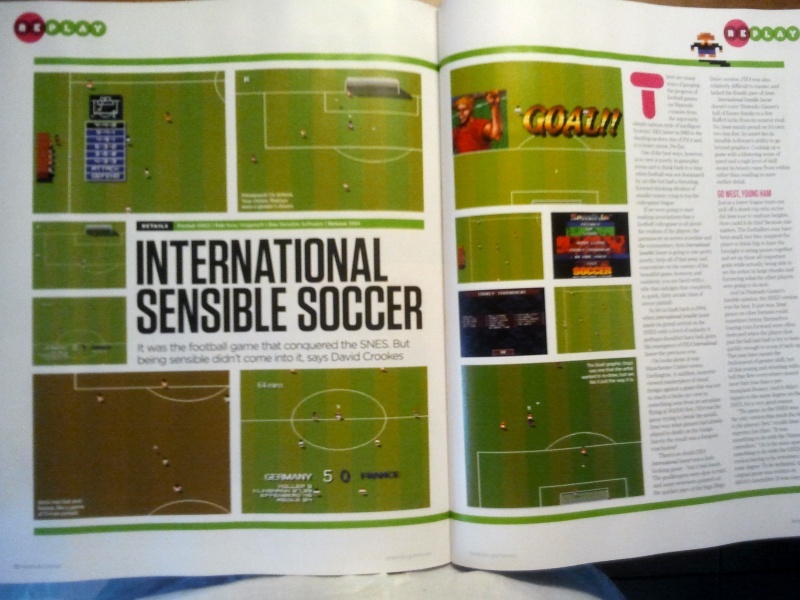 I was going through some old graphics files recently when out of the blue I was contacted by Nintendo Gamer Magazine who invited me to comment on my memories of converting Sensible Soccer to the Super Nintendo. Well it took me a while to remember what we did but after after viewing a few old Amiga IFF files, drinking a large mug of tea (or three) those old memories soon resurfaced and before I knew it I’d written enough waffle to pad out a few paragraphs. 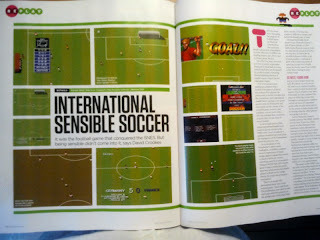 So if you want to know how this version of Sensi Soccer differs from that of the original , grab yourself a copy today! Nintendo Gamer July 2012.